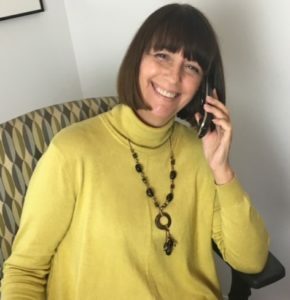 While I help people around the world with all kinds of life and career transitions, I’ve developed a special area of my practice focused on helping people have a smooth and successful transition when moving to Victoria. I moved here over 25 years ago and I love this city, however it is a little different than many other cities and can sometime be challenging to settle into or find a job. I decided that I wanted to do something to help newcomers and anyone thinking of moving to Victoria have a smooth and successful transition. 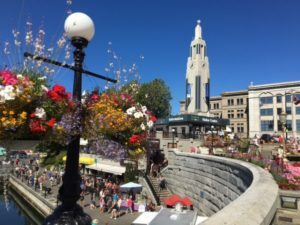 I help people in a variety of ways; through free information sessions live in Victoria, a free video about moving to Victoria, co-sponsored events in Victoria and other cities and paid workshops on topics such as Networking for Success in Victoria. Of course I also offer personalized one-on-one coaching to help you decide if this move is right for you. Want to explore your options? Living Elsewhere and Thinking of Moving? Many people visit Victoria year after year and dream of eventually moving here at some point in the future. My husband discovered this beautiful city while working on assignment with his company. He fell in love with the climate, the scenery and the city. We both decided that moving to Victoria as soon as possible was the right move for us instead of waiting until we retired. We came out in June of that same year on a mission to find work and by August we had sold our house in Ottawa and moved here. The job search helped us understand that we were moving to a smaller city with less opportunities, however we’d made a conscious choice to move here for an improved quality of life and we’ve never regretted our decision. I’m often surprised at how little research some people do before moving here. This can lead to disappointment, frustration & stress, when assumptions about how easy it is to find work and a place to live don’t always hold true. Even making friends can be challenging if you don’t understand the culture of the city. I’ve heard too many stories of people moving here and not having the easiest time settling in, so I decided to do something about that. I developed a specific area of my coaching practice to support newcomers and people thinking of moving here, so that they can have a smooth and successful transition. 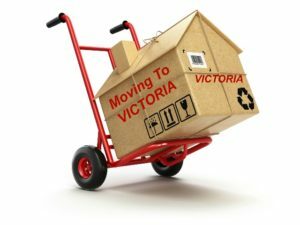 My Personal Relocation Discovery Coaching Package for people thinking of moving to Victoria is a stand-alone package to help you get clear on what you want from your move and includes a custom coaching session on a topic that best serves you. After completing this package you’ll have clarity about your goals for the future and you’ll have a much better idea of what you need to do to plan a successful move to Victoria. Moving is often disruptive and expensive and there are always unexpected things to deal with. Having an experienced coach in your corner, someone who’s lived in this city for many years, is respected in the community, is a member of a number of local organizations and who specializes in helping others make a smooth transition, can be very reassuring and could be an excellent investment. I can also connect you with reputable local resources who can help you before and after you move. I’ve also developed this FREE video summarizing the key points from my An Insider’s Guide to Moving to Victoria (formerly What You Need to Know About Moving to Victoria) information session for people who are thinking of moving here and can’t attend my live talks. If you’re interested in more details and can’t attend my free workshop in person, you can request a .pdf of the handout I share with participants in An Insider’s Guide to Moving to Victoria by clicking the button below. My free talk – An Insider’s Guide to Moving to Victoria is valued by newcomers and visitors. Whether you’ve been in Victoria for just a few months or even a few years, you’ll find my insider tips invaluable, so please consider blocking off time in your schedule to attend. I can’t tell you how many times I’ve heard participants say “I wish I’d met you years ago when I first arrived in Victoria”. My Networking for Success in Victoria workshop is popular with both locals and newcomers. Networking is an essential skill in this town to uncover the hidden job market. It’s also a great way to meet people and make new friends. 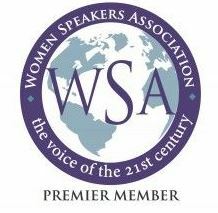 This workshop will help you reframe your view of networking. You’ll create a strategy for your networking and I’ll share my Ultimate Action Plan to support you showing up at networking events in a confident and authentic way. You’ll also get my simple yet powerful template for your 30 second introduction. You’ll even have a support call with me after the workshop to test drive your introduction and explore the best places for you to network in Victoria based on your goals. My Personal Relocation Discovery Coaching Package for newcomers is a stand-alone package to help you get clear on what you want from your move and includes a custom coaching session on a topic that best serves you. After completing this package you’ll have clarity about your goals for the future and a plan to help you settle into your new home town. Moving to Victoria can be challenging. Sharing your experience and goals for the future with an experienced coach who has lived in this city for more than 25 years can be helpful and reassuring. If you feel you’d like more personalized support now that you’ve moved to Victoria, this stand-alone coaching package could be an excellent investment. Victoria is a beautiful and vibrant city and I wish you a smooth and successful transition. Thinking of Moving Somewhere Other Than Victoria? I’ve developed a couple of resources if you’re thinking of moving to a different city or part of town. The first resource is a self-directed workshop called A Checklist for My Ideal Next Home. It will help you get clarity on the key features and location factors you’ll want to keep in mind when looking for your future home. You’ll have a list of a few mandatory features and some other nice to have features. You can then share this information with your relator if you’re buying a home, or just keep it in mind as you conduct your own search for your next home. This $15 investment can save a great deal of time in helping you determine which properties to look at and help to eliminate the risk that you’ll end up falling in love with and buying a property that really doesn’t meet your key criteria and finding you’re dealing with the added expense of moving yet again. This resource is specifically directed at seniors and those who care about them. It’s a video of a presentation that I’ve delivered to hundreds of seniors. It really a call to action and some guideline for how to make a plan for where they’ll live in the future if in future, their current accommodation is no longer suitable for them. It’s difficult for most people to think about moving and it’s especially challenging for seniors. This video can be helpful for children of seniors who can watch it with an elderly relative and then use it as a starting point for a discussion about what the senior you care about might think about what they heard in the presentation. I don’t sugar-coat the message about the need to plan ahead and I firmly believe that the best people to drive the plan are seniors themselves. Seniors who heard me deliver this live, always left saying things like “It wasn’t easy to think about these things, but I guess we really do need to make a plan”. It just a $10 investment and can really help facilitate beginning this challenging discussion with an elderly relative who you know needs to begin to think about moving in the future.